Born 16 September 1858, Canada. 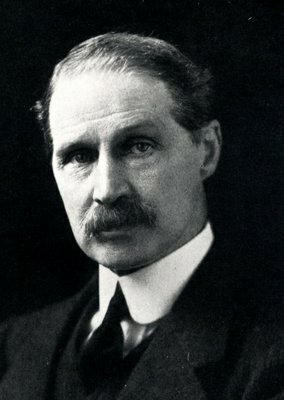 Andrew Bonar Law (1858-1923) was Rector of the University from 1919 to 1922 and was awarded an honorary LLD in 1912. Born in Canada, the young Law moved to Scotland to live with his mother's family, the Kidstons. 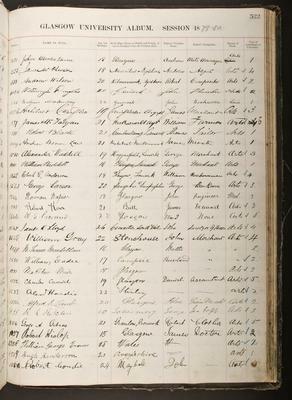 He attended some classes at the University in 1879-80, before joining the Kidston's banking business and then forming a business partnership with the ironmaster William Jacks. He became a Conservative MP in 1900 and held important government offices including that of Chancellor of the Exchequer. He was briefly Prime Minister, 1922 to 1923. In 1914 Law had been one of the candidates who stepped aside to permit the uncontested election of Raymond Poincaré as Rector. In 1922 his opponents were the former Professor of Greek at the University, Gilbert Murray, and the mathematician and philosopher Bertrand Russell. 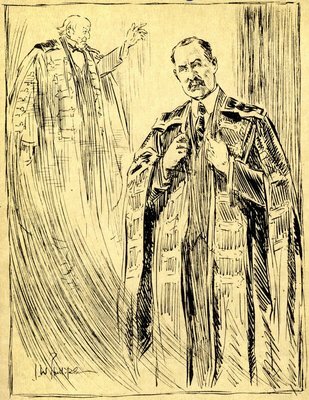 Law claimed he had been inspired by William Ewart Gladstone's rectorial address in 1878, and in 1921 the Bailie depicted Gladstone's spirit in attendance at his installation.